Q. 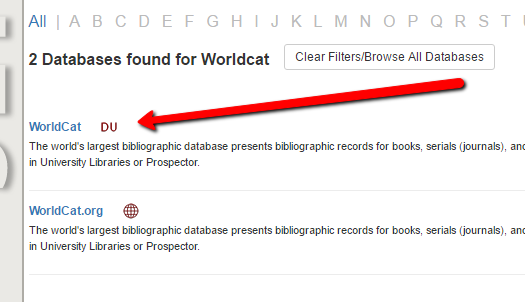 How do I make an ILL request from WorldCat? 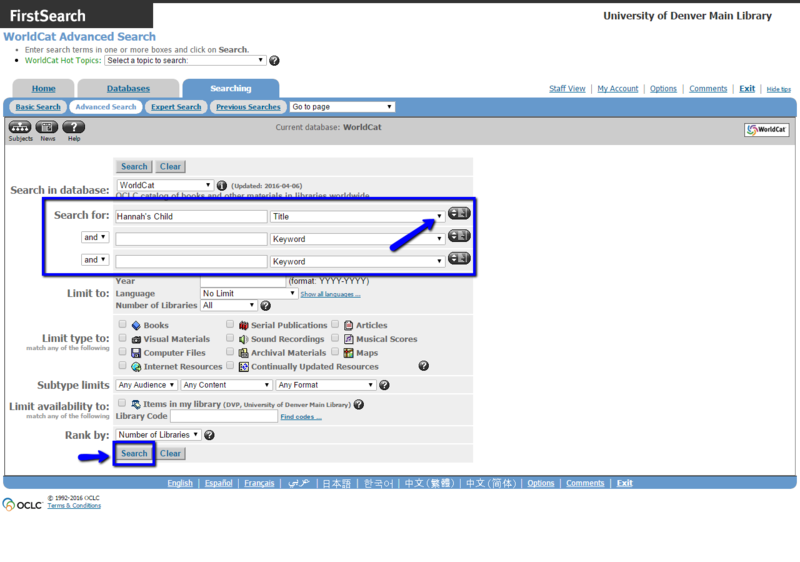 Using these instructions, you may simplify your InterLibrary Loan request process by having WorldCat auto-populate many of the fields. 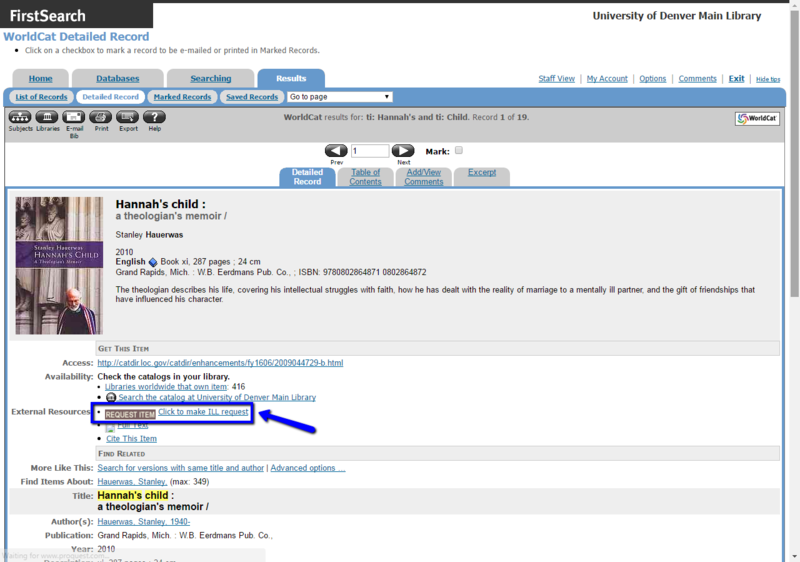 WorldCat is a database that will allow you to search for materials in libraries around the world and make an InterLibrary Loan (ILL) request for that particular item. After clicking on the WorldCat link, you will be brought to the following page. If you are off-campus, you will first be prompted to login to the DU network with your DU ID and passcode (same as PioneerWeb). 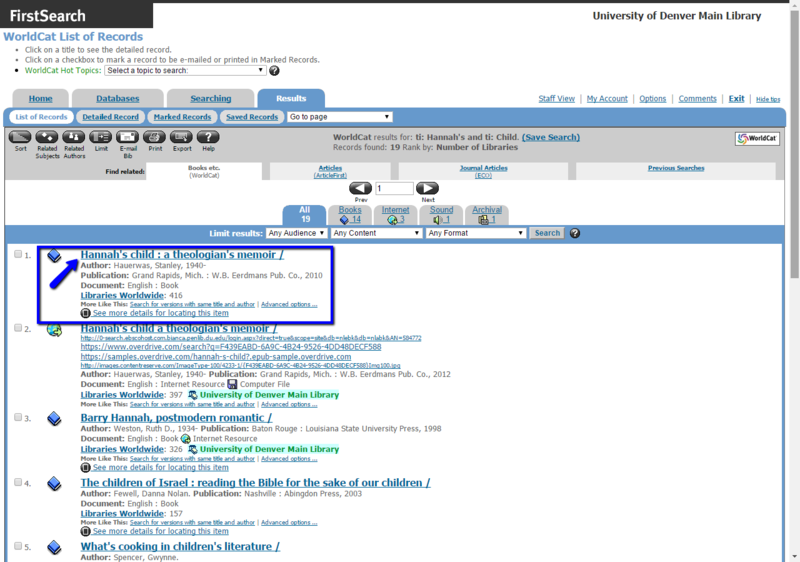 You can then search by a number of different fields. 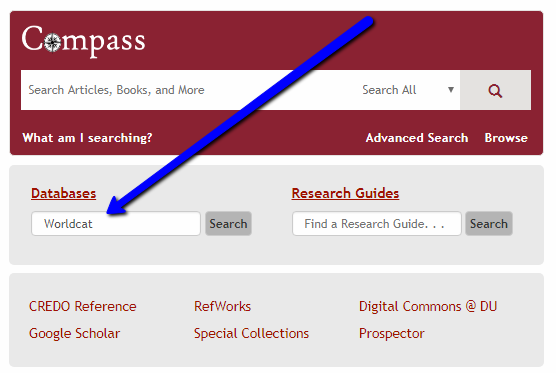 If you know the title of what you are looking for, enter the title in the search box and use the drop down menu to select "title." Then click on "search." You will then see a page of results. Click on the title. You will then choose "Click to make an ILL request." 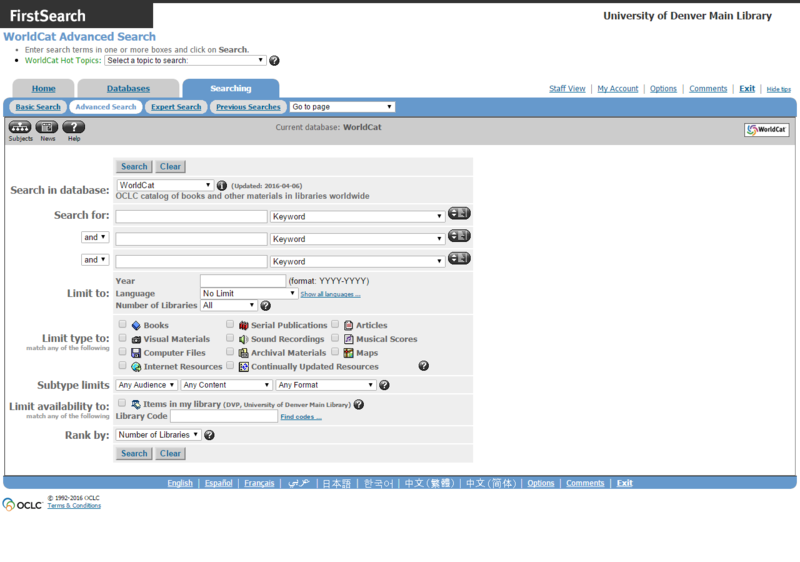 You will then be prompted to log in with your DU ID and password. Fill out the appropriate information to complete the request. You will be notified when the item has arrived and is ready for pick-up.